DISC is simple to learn, user friendly theory of human behavior. It evaluates your most comfortable behaviors or how you naturally prefer to do things. 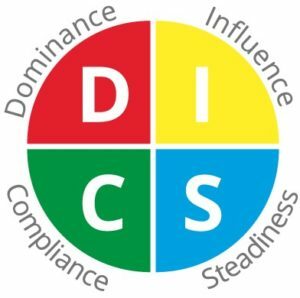 DISC can support and improve our ability to interact with others and our overall workplace effectiveness. Each of us has all 4 DISC styles. The DISC assessment reveals which behavioral styles are more comfortable for us (natural) and which take more energy (not natural). It does not judge good or bad, or right or wrong. Through a short online DISC assessment, you receive an in-depth report about your natural and adapted styles. ProFormance then provide each participant with a personal debrief session on their report and optional follow up coaching. With team assessments, we offer manager insight meetings to best understand each staff member’s report, their strengths, areas to develop and how to best lead and motivate them. The Extended DISC® Diamond was created to build upon the Four-Quadrant Model to make it more useful. The DISC Diamond, which has 160 profile types vs. 16 profile types, shows that we are more complex and multidimensional. We can find successful people in all 4 DISC types. However, the most successful people know who they are. They are aware of their strengths and they are aware of the areas they need to develop, relative to the role they are in. They modify their style fittingly with different styles of people and the different situations they are in. Completing a DISC profile enables people to become more aware of their style, preferences and challenges. Awareness is the first step to learning and developing. CONTACT US to find out how DISC can help your people to grow.